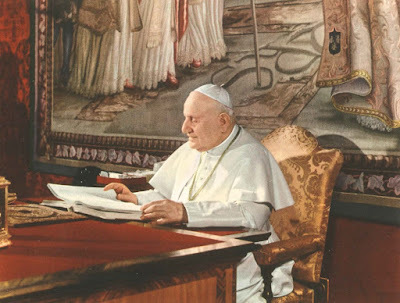 Some time ago, I started on a project to make the primary sources of the Second Vatican Council more accessible to the general public. The Acta Synodalia of both the first session and second session of Vatican II have already been made available electronically on NLM, and I am working (albeit slowly!) on the third and fourth sessions. However, I can now also present scans of some of the other very interesting material of the Council: the Acta et Documenta Concilio Oecumenico Vaticano II Apparando. These volumes, documenting all the discussions and work done leading up to Vatican II, have long been out of print, and provide a major part of the background necessary for a proper understanding of the Council. The Acta et Documenta is split into two series: the Antepraeparatoria, covering the pre-preparatory work done in 1959 and 1960 (including the individual responses of the worldwide episcopate to the question of what to discuss at the Council), and the Praeparatoria, which deal with the work of the Central Preparatory Commission and the related commissions between 1960 and 1962. Unfortunately, due to the scarcity of the volumes not all of them are available here, but I do hope to rectify this eventually. This volume contains all the documents, letters, speeches, etc. 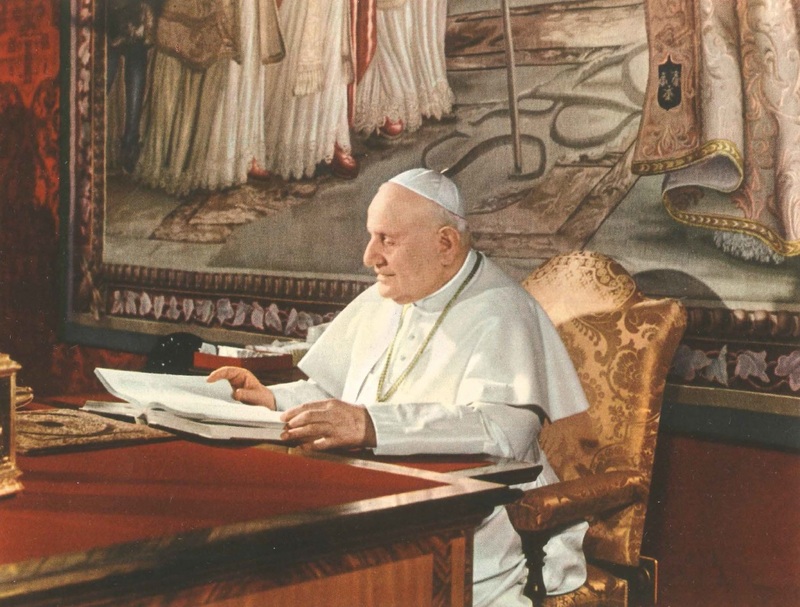 given by Pope John XXIII in the antepreparatory period of the Second Vatican Council. It is perhaps worth noting that, at the time, this was the only antepreparatory volume made available to the public; all others were sub secreto for the exclusive use of the pre-conciliar commissions. Volume II contains the written submissions and replies (vota) to the letter of Domenico Cardinal Tardini and the follow-up letters of Mgr (later Cardinal) Pericle Felici, asking the bishops and prelates of the world what they would like to see discussed at the upcoming Council. It is split into eight parts: one part for Italy, two parts for the rest of Europe, one part for Asia, one part for Africa, one part for North and Central America, and one part for South America and Oceania. Three parts are available here: part 1, part 2 and part 8. Part 1 contains the vota from the following European countries/territories: United Kingdom, Austria, Belgium, Denmark, Finland, France, Gdansk/Danzig (now part of Poland), and Germany. Part 2 of Volume II contains the vota from the following European countries: Gibraltar, Greece, Switzerland, Republic of Ireland, Spain, Netherlands, Hungary, Iceland, Yugoslavia (now split into the countries/territories of Bosnia & Herzegovina, Croatia, Kosovo, Macedonia, Montenegro, Serbia, and Slovenia), Latvia, Luxembourg, Portugal, Malta, Norway, Poland, Monaco, Sweden, and Turkey (European). Part 8 of Volume II contains the vota from the superior generals of religious congregations. These two volumes are better known as just the Analyticus Conspectus, and provide an analytic overview of the eight volumes of the vota. All the responses of the bishops, prelates and religious are distilled into 9,348 brief propositions, organised by subject, with each proposition having one or more diocese/religious order cited in the footnotes. The Analyticus Conspectus is a very handy tool, and has been largely neglected by historians of Vatican II due to the anti-curial bias evident in, for example, the Bologna School. Part 1 deals with the following subjects: Chief Doctrines; General Norms of the Code of Canon Law; Persons; Clerical Discipline; Seminaries; Religious; Laity. Part 2 deals with the following subjects: The Sacraments; Sacred Places; Precepts of the Church; Divine Worship; Magisterium of the Church; Benefices and Goods of the Church; Processes (re. Canon Law); Offences and Punishments; The Missions; Ecumenism; The Activity of the Church. This volume contains the vota of the various Catholic faculties and universities around the world. It is split into two parts in three tomes: Part 1 (two tomes) deals with the institutions in Rome, and unfortunately is not available at the present time; Part 2 contains the vota of the institutions outside of Rome. The antepreparatory series ends with an index volume, which includes detailed statistics of the responses and response rates for the worldwide Church. Volume II, split into four parts, contains the acts of the Central Preparatory Commission, which met over seven sessions from June 1961 to June 1962 in order to discuss and refine the schemata that would be put before the Council at the first session. Volume III, split into two parts, details the acts of the ten Preparatory Commissions and two Secretariats involved in drafting the schemata. Part 1 contains those prepared by the following five Commissions: Theological Commission, Commission for Bishops and the Governance of Dioceses, Commission for the Discipline of the Clergy and the Christian People, Commission for Religious, and Commission for the Discipline of the Sacraments. Part 2 contains those prepared by the other Commissions and the two Secretariats: Commission on the Sacred Liturgy, Commission for Studies and Seminaries, Commission for the Oriental Churches, Commission on the Missions, Commission for the Apostolate of the Laity, Secretariat for Communications Media, and Secretariat for Christian Unity.